This is probably the most personal post I have ever written, but it’s an important one. Seeing is believing after all, right? I have been begging my husband for months now to let me post a progress photo of his weight loss. He was insistent not until he reached “his goal weight” however, even he couldn’t believe his eyes when I took this photo of him last week. He has finally agreed for me to share his Keto journey, which has really through all I’ve learned and cooked become our Keto journey. He started the Keto diet for the first time in June of 2017, and as of today has lost 65 pounds!!!! He has not stayed in ketosis that entire time, in fact he’s taken multiple breaks in the past 15 months. Holidays, vacations, special occasions, sometimes a break will last as long as a month or two. 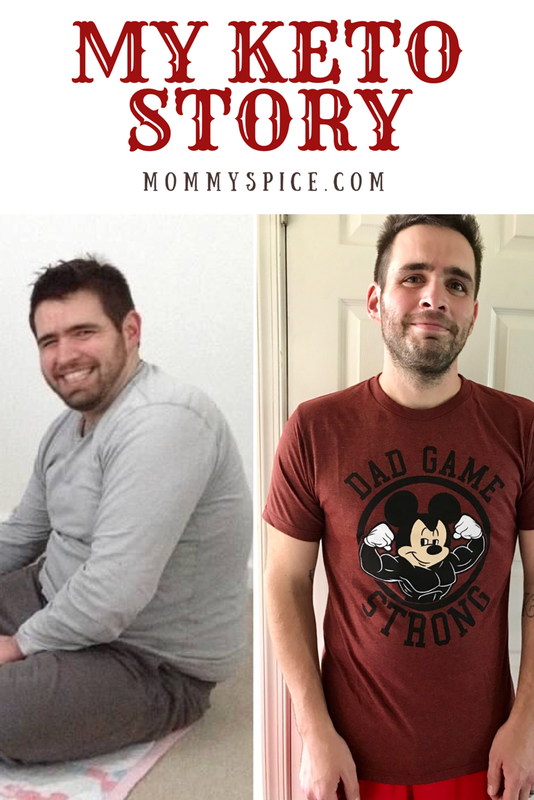 However since initially starting Keto, seeing and feeling the changes in his body, it has changed the way he looks at food. Taking out almost all of the carbs and sugars from his diet has changed his tastes and food choices drastically, even when taking a break. It is possible guys, to lose the weight and keep it off, the diet can be intense at first but the pay off and results are amazing! I’ve managed to streamline our meals and come up with a lot of recipes that will trick even the most skeptical bread lovers! Thanks for following along on our story, the out-pour of love, support and compliments my husband has received has been amazing. I hope you find his weight loss success as inspiring as I do and happy Keto cooking to everyone going through their own Keto journey.